Zine Jr., a mini-workbook, created so that you can write field notes and dreams sparked from the activities prompted in the Zine and the podcast. Fold the paper in half, long way, like a celery or hot dog. It's best to fold both ways to make the spine flexible. Open the paper and fold it in half, the shorter way, like a tomato or burger patty. Re-open the paper and fold the along the dotted lines so that the shorter edges meet in the middle. The page should be creased to make eight rectangular sections. Cut along the dotted lines between the two middle rectangles, above the "Exercise 01" and "My Next Steps" boxes. 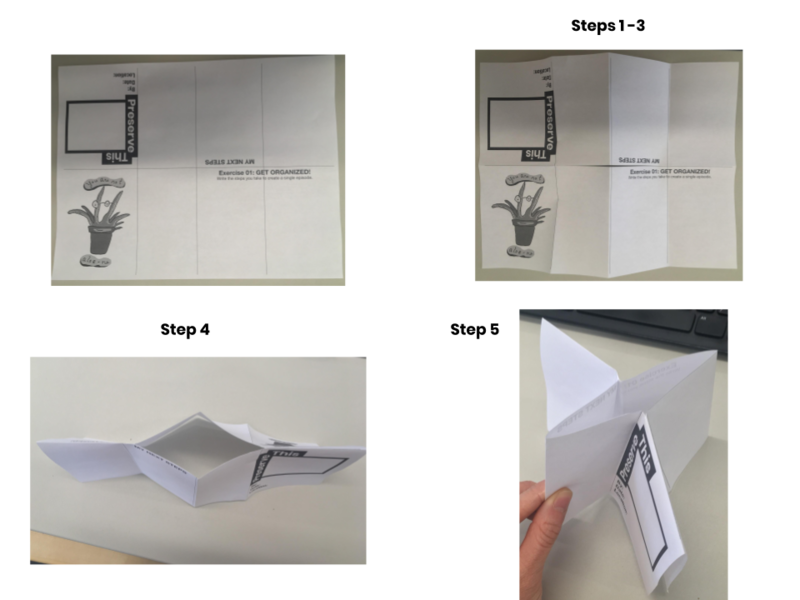 Fold the zine so that the burger image side is on the inside and the edge that was cut open meets in the middle like a plus sign.